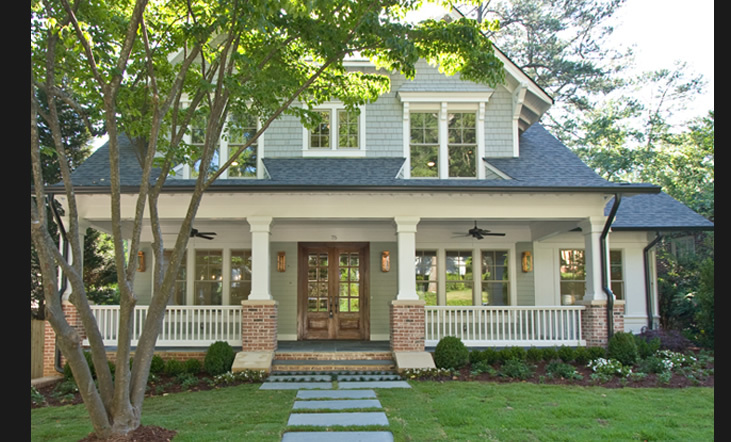 The architectural design of this new bungalow keeps it's eye on traditional detail and proportion. Bungalows are cherished for their efficient use of space and their feeling of warm intimacy. By employing classic circular planning, this design maximizes the flow of spaces, light and air throughout an efficiently designed home.